This simple yet elegant strawberry cake will fill the house with the intoxicating smell of strawberries. We came across this recipe and to be honest just fell in love with the way it looked. In addition, strawberries are in abundance on the grocery store shelves right now so it was a no-brainer. A basic vanilla cake base surrounds the fresh strawberries to create a pillow-like look. Sprinkled sugar over the top creates a crisp top crust, and helps the strawberries turn into a firm jam-like consistency. It can be made in a deep 9-inch springform pan or even in a large 10-inch pie pan. Once out of the oven and cooled, a dusting of powdered sugar and a strawberry compote makes any event special. 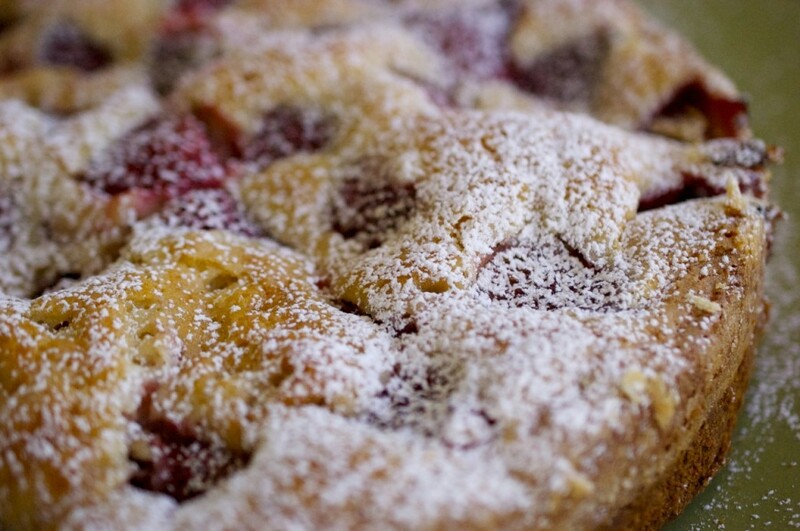 This cake would be terrific with any berry that may be in season. Preheat oven to 350 degrees F and butter your baking dish, set aside. Whisk flour, baking powder and salt in a small bowl. In a larger bowl, beat the butter and ¾ cup sugar until pale, about 3 minutes. Mix in egg and vanilla until just combined. Alternately add dry mixture and milk, mix until just smooth. Pour mixture into prepared baking dish. 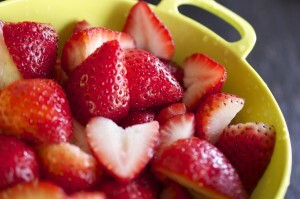 Arrange strawberries, on top of batter, as closely as possible, overlapping maybe needed to get all strawberries into pan. Sprinkle remaining 2 tablespoons of sugar over berries. Bake for 10 minutes, then reduce oven temperature to 325 degrees F and bake cake for another 50 - 60 minutes or until cake is golden brown and tester comes out with no wet batter. Let cool. 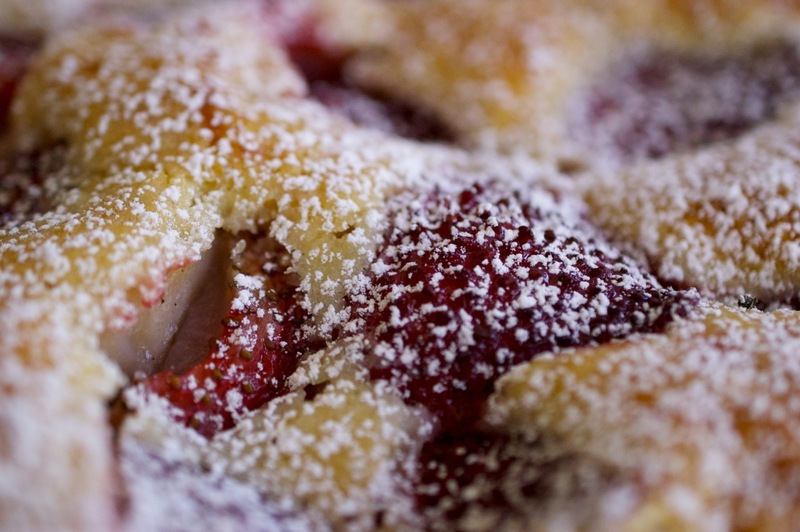 Once cool sprinkle with powdered sugar and serve with a warm strawberry compote. Best when prepared the same day as serving. SOUNDS LIKE A DELIGHTFUL CAKE FOR MOTHER’S DAY. HAPPY MOTHER’S DAY TO ALL YOU WONDERFUL MOTHERS, and AUNTIES, FOR THEY ARE LIKE SECOND MOTHERS.